Thanks for the great feedback- it's excellent to hear that you had such a good time on your stag weekend in Cambridge! Here at StagWeb we work hard to ensure that it runs smoothly and you have the best time possible. If you have any events to organise in the future, then please do get in touch. Thanks for the great feedback- it's excellent to hear that you had such a good time on your stag weekend in Ibiza! Here at StagWeb we work hard to ensure that it runs smoothly and you have the best time possible. If you have any events to organise in the future, then please do get in touch. Thanks for the great feedback- it's excellent to hear that you had such a good time on your stag weekend in Prague! Here at StagWeb we work hard to ensure that it runs smoothly and you have the best time possible. If you have any events to organise in the future, then please do get in touch. Thanks for the great feedback- it's excellent to hear that you had such a good time on your trip to Malaga! 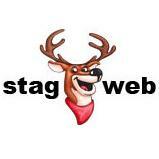 Here at StagWeb we work hard to ensure that it runs smoothly and you have the best time possible. If you have any events to organise in the future, then please do get in touch. Thanks for the great feedback- it's excellent to hear that you had such a good time on your stag weekend! Here at StagWeb we work hard to ensure that it runs smoothly and you have the best time possible. If you have any events to organise in the future, then please do get in touch. Thanks for the great feedback- it's excellent to hear that you had such a good time on your stag weekend! Here at StagWeb we work hard to ensure that it runs smoothly and you have the best time possible, and it's great to hear that this has paid off and that you were a success as best man! If you have any events to organise in the future then please do get in touch- you can call us on 0845 130 5225 or visit our website. Thank you so much for your kind review- it's great to hear that you had such a good time! Brighton's a top destination and it's excellent to hear that you made the most of it with some top activities. At StagWeb we work hard to tailor each weekend to the exact group while providing outstanding customer service, so it's terrific to see that this has paid off and you'd use us again in the future. If you need any help organising any future events then you can give us a bell on 0845 130 5225 or visit our website. Thank you so much for your positive review- at StagWeb we work hard to ensure a great time is had by all so it's terrific to see that this has paid off. Bath is also one of our top destinations with great activities and nightlife, so it's excellent to see you made the most of this. If you need help planning any kind of group event in the future then we'd be more than happy to help out- just give us a bell on 0845 130 5225 or visit our website. Thank you so much for your positive feedback- it's great to hear that you had such a fantastic time in Prague! At StagWeb we strive to deliver the best weekends to our clients and I'm glad to see that this has paid off and everything went well. If you need any help organising any events in the future then just give us a bell on 0845 130 5225 or visit the website! Thanks so much for the feedback! Your comments are valuable to us and help us continue to create excellent stag weekends for groups. If you need any help in the future give us a bell on 0845 130 5225, and be sure to check out our Facebook page. Thank you so much for your positive review: we're glad you enjoyed your weekend and your feedback helps us continue to be the leading company in our field. If you have any more events to organise in the future then give us a ring on 0845 130 5225 and we'll be happy to help you out. For daily laughs, advice and stagspiration be sure to also head over to our Facebook page. Thanks so much for your comments and feedback- we strive to offer the best in stag weekends and it's always good to see when our hard work pays off! Budapest is a top destination and we're glad you made the most of the terrific activities and excellent nightlife! We really appreciate your review and if you have any events to organise in the future then we'd be happy to help you make it incredible. Give us a ring on 0845 130 5225 or head over to our Facebook page. Thanks so much for your review- we're glad you found the whole weekend a great success! At StagWeb we strive to provide the best service and your positive comments help us to continue to provide excellent stag weekends for groups. If you need any help with organising boys' weekends in the future then give us a bell on 0845 130 5225 and we'd be happy to help. For daily laughs, advice and stagspiration be sure to also check out our Facebook page. We're so glad to hear you had such a fantastic weekend- Liverpool is a top destination and it's good to hear that you made the most of the activities and luxury accommodation! Your positive comments help to ensure that we continue to give first class service and remain a leader in the industry. When it comes to the next one please do bear us in mind and give us a ring on 0845 130 5225 or send an enquiry from our website - we'd be happy to help you organise another amazing weekend! Also be sure to 'like' our Facebook page for daily laughs, information and inspiration. Far and Ride www.farandride.com 1.